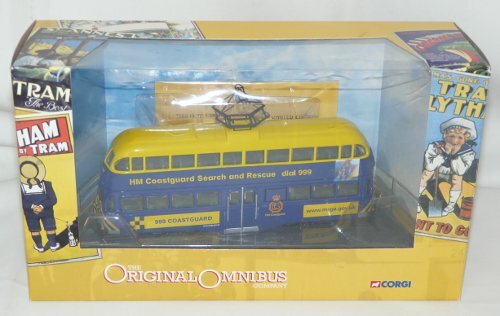 An impressive boxed limited edition CORGI The Original Omnibus Company diecast double deck Blackpool HMS Coastguard Balloon Tram. 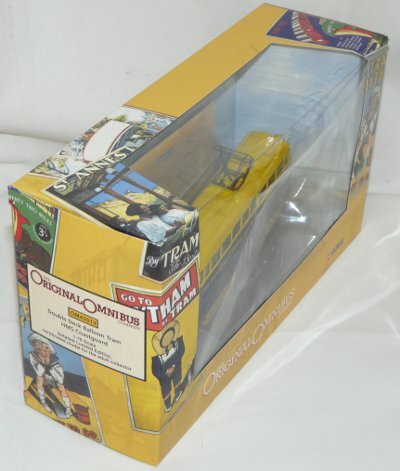 This is Corgi model OM43513 and is a limited edition of 2000 - this is number 1976, with it's original certificate. It is a 1:76 OO guage scale model double deck balloon tram. 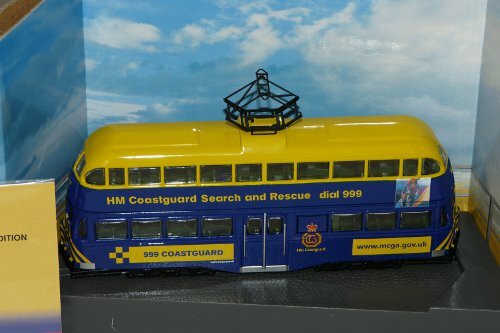 This is a special HMS Coastguard tram, its route is STARR GATE. On its side it says HM COASTGUARD SEARCH AND RESCUE DIAL 999. Condition: As new and boxed with only small crease to box film. Overall an impressive piece for any OO gauge collection.